IMPORTANT NOTE: These racks do not fit ComforTek Jubilee or Armed Summit Chairs. ComforTek offers a flat bookrack that allows book storage and stackability for their whole line of ganging chairs! These racks easily attach to the underside of the ComforTek chair and provide access to books from the rear. Included within the rack is one storage spot for a communion cup also. ComforTek offers a flat bookrack that allows book storage and stackability for their whole line of ganging chairs! These racks easily attach to the underside of the ComforTek chair and provide access to books from the rear. Included within the rack is one storage spot for a communion cup also. 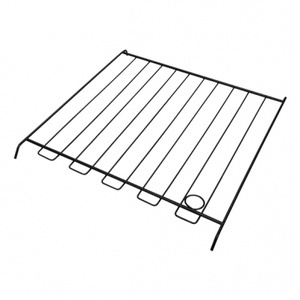 These racks are stocked in silvervein, textured black or antique brown finishes. Other finishes are also available. Please call for information on these. 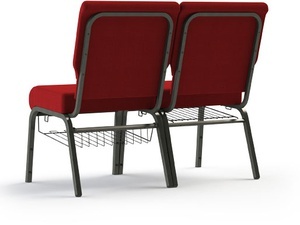 IMPORTANT NOTE: These racks do not fit ComforTek Jubilee Chairs.